Kali Protectives Donates Helmets & Gloves for Youth Adventures Program! COSCA Bonus Trailwork Day on May 26. 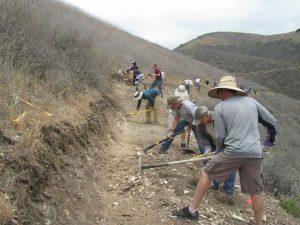 Thirty-seven volunteers came out to start building the newest trail in the Conejo Valley on May 26th that links the Westlake Village Community Park and YMCA to the Saddle Pass Trail. We completed about 0.4 miles of the new 1.3 mile-long connector! Another trail, to be built after this one is complete, will return to the other side of the community park and will bring the total to 2.5 miles of new trail. At noon we were treated to submarine sandwiches, soft drinks, chips, fruit, etc. by the COSCA rangers. Thanks to all the volunteers who came out to help! 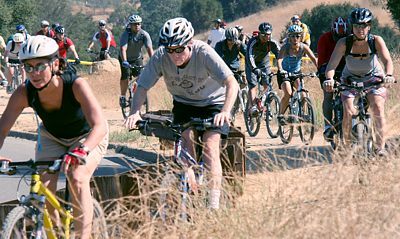 To see photos, visit our photo gallery of the bonus trailwork day. 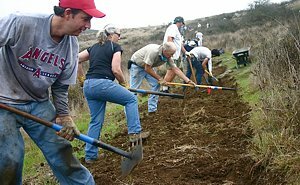 COSCA Spring Trailwork Day on June 16. With about 70 volunteers, we continued to work on the trail started last month From the Westlake Village Community Park up to the Saddle Pass Trail. The new trail work areas had a very steep cross-slope. That meant that we had to dig out a lot of dirt to create a trail with the standard 4'-wide tread. On top of that, the dirt was mixed with lots of rocks that made the digging difficult. But the volunteers persevered and we ended up with another 0.4 miles of sweet new trail! Lunch was catered by Billy D’s BBQ in Newbury Park. There was lots for everybody! Thanks to all the volunteers who came out! To see photos, visit our photo gallery of the Spring trail work day. 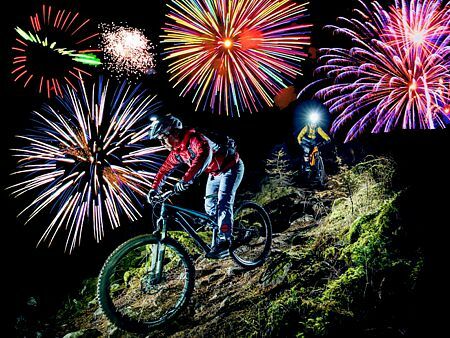 Saturday July 7th is the next skills clinic, followed by August 4th.